“The Crown did not present any evidence before the Court to prove that any relevant part of the Appellant’s offensive conduct occurred in Bermuda and there was no evidence before the Court to suggest that the aircraft concerned was registered in Bermuda. 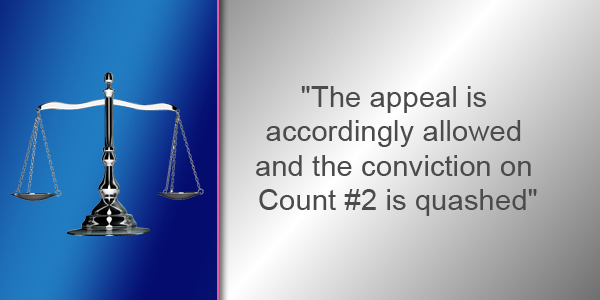 For these reasons, the conviction is unsafe,” the ruling stated. The ruling said, “The Appellant was convicted in the Magistrates’ Court upon his guilty plea to Count 2 of Information 18CR00001. “Count 2 was pleaded in the following terms: ‘On the 31st day of December 2017, in international territorial waters, used threatening, abusive, insulting words and disorderly behaviour towards crew members of British Airways flight #BA2233, contrary to Article 68 of the Air Navigation [Overseas Territories] Order 2001. “The Appellant now appeals on the basis that the section under which he was convicted does not constitute a criminal offence in Bermuda. “The Prosecution is agreed in principle with the Appellant’s complaint but initially submitted that this Court can instead substitute a conviction under Article 181[b] of the Air Navigation [Overseas Territories] Order 2013. “The Appellant was aboard an aircraft destined for Bermuda from London, England. Having consumed a mix of alcoholic beverages, he was verbally abusive and aggressive towards not only cabin staff but also towards other passengers who were travelling with an infant. “The Crown did not present any evidence before the Court to prove that any relevant part of the Appellant’s offensive conduct occurred in Bermuda and there was no evidence before the Court to suggest that the aircraft concerned was registered in Bermuda.